I was thinking of making some practical Christmas gifts for family. 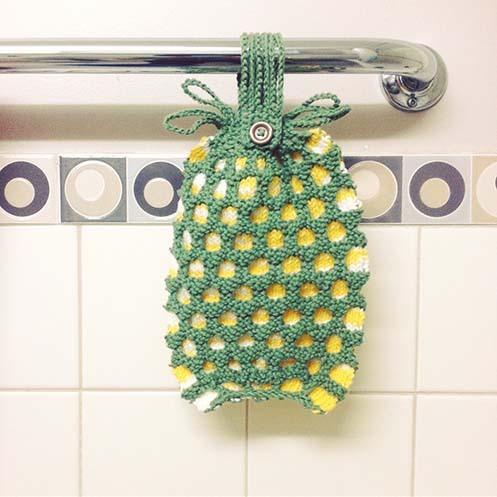 I thought of making wash cloths. Because everyone can use more wash cloths. And I made a couple using this excellent pattern from Hakucho. It’s a lot of fun to knit using variegated yarn! I used Bernat Handicrafter Cotton in “Lemon Swirl” and “Sage Green”. I wish I could find a brighter yellow and a lighter green, but there weren’t any other kind of worsted cotton at the Michaels I visited. But I think overall it still looks like a pineapple. 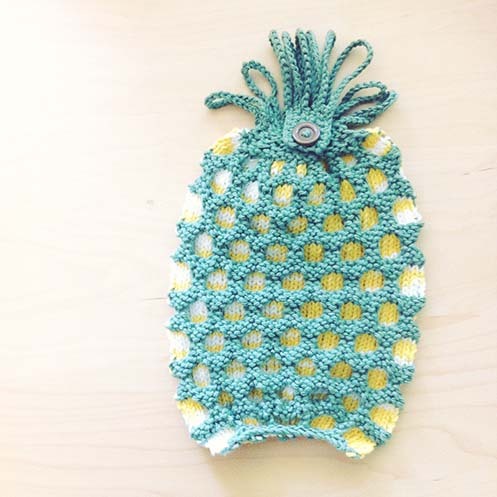 This pattern uses both knitting and crochet. 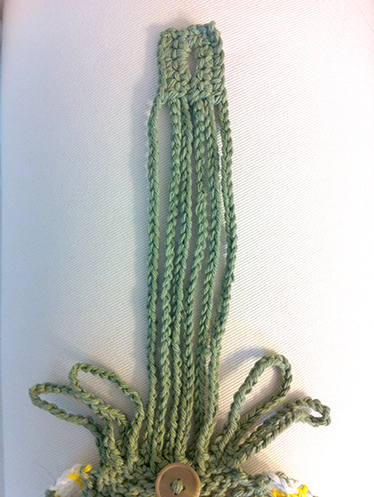 Crochet is only used in the top (green, hanging) part. It’s not complicated, just involves making chains, single crochet and slip stitch. 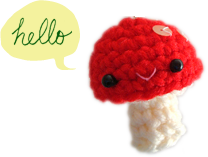 I used two 4.5 mm straight needles and a 3.5 mm crochet hook. Also used tapestry needle for sewing and a 1‐inch button. Row 1: p all stitches. Row 2: kfb all stitches (28 st). Rows 3–8: Attach yellow, work pattern rows 3–8 in Circle Cloth pattern. Row 9: Switch to green, work pattern row 9 in Circle Cloth pattern. Row 10: k2, *k1fb, k1*, repeat from * to * across until last 3 st, k3 (40 st). Rows 11–12: Work pattern rows 11–12 in Circle Cloth pattern. Rows 13–18: Switch to yellow, work pattern rows 3–8 in Circle Cloth pattern. 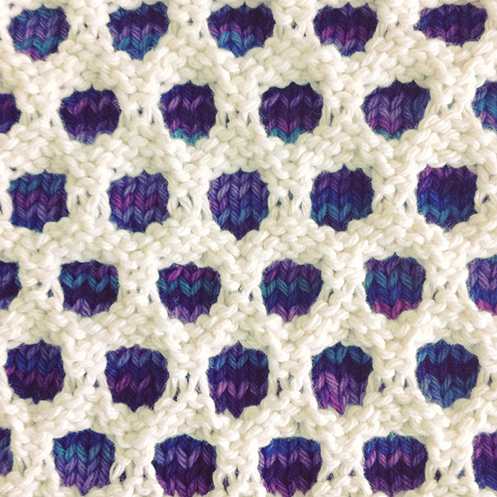 Rows 19–22: Switch to green, work pattern rows 9–12 in Circle Cloth pattern. Rows 23–28: With yellow, work pattern rows 13–18 in Circle Cloth pattern. Rows 29–32: With green, work pattern rows 19–22 in Circle Cloth pattern. Now there should be 3 sections of yellow completed. Repeat pattern rows 3–22 in Circle Cloth pattern 3 more times. 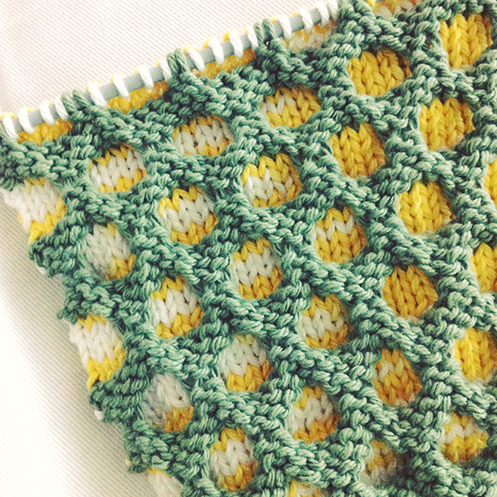 Then repeat pattern rows 3–8 once more. There should be 10 sections of yellow altogether. Fasten off yellow. Pineapple top row 1: With green, work pattern row 9 in Circle Cloth pattern. Row 2: k1, k2tog to last st, k1. Row 4: k all st.
Row 5: p all st.
BO all st, don’t fasten off. 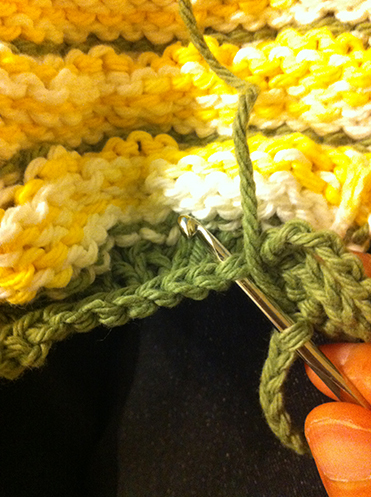 Insert crochet hook in last remaining loop. Loop 1: From where we left off in the knitting part, ch 25, sc in same st at beginning of ch. 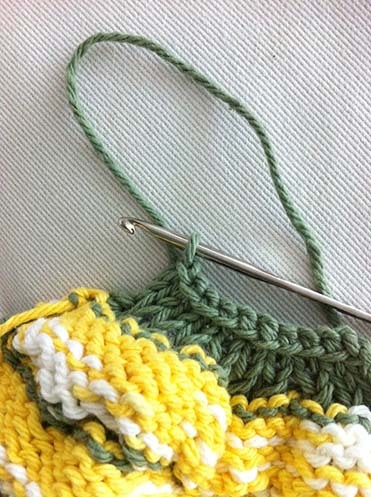 When crocheting into the knit part, be sure to insert hook through both loops in the BO stitches. Loop 2: ch 25, sc in next BO st.
Loop 3: sc in next BO st, ch 42, sc in 2nd ch from hook, sc in next 5 ch, ch 35, sc in next BO st at pineapple top. Loop 4: sc in next BO st, ch 35, sc in each sc in the 6‐sc row that was made in loop 3, ch 1, turn (turning ch does not count as a st), sc in first sc, ch 3, skip 3 sc, sc in next 2 sc, ch 35, sc in next BO st.
Loop 5: sc in next BO st, ch 35, sc in next 2 sc at top of loop 4, 3 sc in next ch 3 sp, sc in last sc, ch 1, turn, sc in next 6 sc, ch 35, sc in next BO st.
Loop 6: sc in next BO st, ch 25, sc in next BO st.
Loop 7: ch 25, sl st in same st at beginning of ch, fasten off. Weave in ends.